Why Stereo and Not Mono? What was your first thought when you read this headline? Some of you may have some knowledge of audio systems but many people don’t know anything about them and others think that the question is absurd because the only logical answer is that a stereo system consists of a pair of speakers. However, those who have some kind of a stereo system know that they are much more complicated than it seems. Of course, the speakers are the integral parts of any audio system but they are commonly considered the only part of the system. After all, they are the most obvious parts that everyone sees and the parts where the music is coming from. Well, this is not entirely true because stereo systems consist of at least three parts that have a great impact on the quality of the sound. If you are interested in this topic or you want to buy a stereo system for your home, stay with us and you will find out all the basic things every future stereo system owner should know before making the actual purchase. As you could conclude from the introduction, in every stereo system you will find a pair of matching speakers. Stereo is considered better than mono because two speakers offer a better listening experience – most audio recordings are actually 2-channel recordings and the best way to deliver that kind of audio to two human ears is using two-channel speaker system (2 speakers). Stereo is always better than mono because one speaker can never deliver as vivid, realistic and natural sound as two speakers can. With a pair of speakers, you are one step closer to listening to a live performance at your own home. With 2 high-end speakers, you can hear almost every instrument and experience a three-dimensional sound stage but also be able to hear everything that the musician wanted you to hear. Stereo systems consist of several components that you can buy separately or pre-packed depending on your needs, taste, and budget. If you’re not an audiophile, you can settle for a smaller and cheaper system that will also be able to deliver high-quality audio. No matter how much they cost, they all should consist of a stereo receiver/amplifier, a pair of matching speakers, and at least one music source. Besides that, there is one thing you should also consider when buying a stereo system – the acoustic properties of the room where the system is going to be placed are very important, but most of us tend to neglect this fact. Source components are more important than you would ever think because the final product (sound quality) depends on them a lot. The sources of audio content are numerous and they can be differently categorized. For example, you can use an external source (a CD/DVD player, a turntable or a receiver with a built-in AM/FM tuner) or you can choose to stream the music from your phone via Wi-Fi or Bluetooth connection. Also, the source components can be grouped as digital or analog sources. CD/DVD players would belong to the first group while phonographs and turntables would be considered analog components. People usually think that the source is not as important as the speakers but speakers can’t make miracles if you’re playing a poor-quality track. CD players are usually considered the best sources but if the CD quality is poor, you can’t do much to fix the final product. However, they are less complicated than tuners and turntables so we will consider them relevant. Every CD player consists of a transport component that drives the disc, DAC (digital-analog converter) that converts the digital signal (the bits) into analog, and an amplifier. However, many people think that CDs belong to the past and that’s why we have to consider online sources, as you can play the music directly from the Internet or you can download it to your phone/iPod/PC storage. It is very important to mention that MP3 files (or any other lossy file format) can’t offer high-quality audio no matter how much you try. On the other hand, you can always download some of the lossless files (such as FLAC and ALAC). This will definitely help if you want high-quality audio. 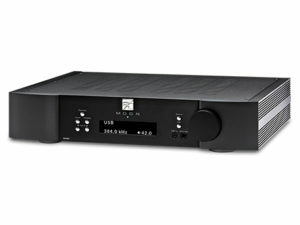 When it comes to amplifiers, they can be divided in two groups – standard stereo receivers and integrated receivers. 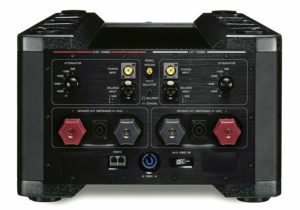 Any standard/traditional stereo receiver contains at least a radio tuner, a pre-amplifier (that receives the signal from the source and adjusts it so that a power amplifier can recognize it), the power amplifier (which accepts the signal sent from the pre-amplifier and adjusts it in order to drive the speakers) and, in some cases, a phono pre-amplifier (that recognizes and receives very low-level signals). Pre-amplifier is the first component that receives the signal coming from the source and transforms it to the level where the power amplifier can recognize and receive it. This component is very important because it enables the user to control the volume, switch between the source components and control the gain stage. People usually don’t consider pre-amps very important but they are the components that enable the power amp (as well as the speakers) to perform much better, usually improving the bass or resolution. This component passes a very small signal to the power amp but all the distortions and imperfections that it doesn’t solve are re-amplified by the power amplifier and as a result, we get distorted sound. This is why a high-quality pre-amp is the very important part of every stereo system. The power amplifier is usually the most respected amplifier component because it receives the signals from the pre-amp and uses them to drive the speakers. During the process, it controls the signal accuracy and eliminates the imperfections and distortions. You can find different kinds of amplifiers on the market but there’s a great difference between consumer and high-end amps. Quality amplifiers don’t have to produce 5000 W. High-end amplifiers can produce 30 or even 10 W but when they are matched with a great pair of speakers, the produced power won’t affect the final result in a negative way. It is actually all about the current. 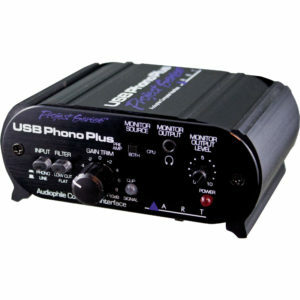 The amplifier modulates the current running through the system and eliminates the imperfections. Quality amplifiers tend to deliver much more current than consumer amps and enable better speaker control during the process. Phono pre-amplifiers aren’t mandatory parts, but you can find them in some amplifiers. Their task is to recognize and receive extremely low-level signals and amplify them to the level where the pre-amplifier can receive them for further processing. You may not need them when playing music from CD players but they do a very important job when the music is played from turntables. Also, these components are just a box without any visible controls (control buttons) such as volume or power on/off switches but they help control the gain. Integrated amplifiers are similar to receivers but they don’t have AM/FM tuners. They can be as large as standard receivers and they also have all the parts placed inside one box. Some people consider speakers the least important part of the system while the others say they are the most important and that everything depends on them. We will agree that they are very important but they are also ‘’the most passive component’’ and they can’t make your music sound amazing if all the other components are bad. You can find different speakers on the market. They come in all shapes and sizes, and their prices vary as well. Basically, everybody can find something that suits his/her needs but the crucial thing is to combine the speakers with the rest of the system and also find the perfect placement for them. The main task of the speaker is to convert the electrical signal sent from an amplifier and deliver the acoustic energy that we hear as sound/music. The most common mistake is buying small speakers and expecting them to deliver big and powerful sound. This cannot be achieved because small speakers can’t deliver the full spectrum of music, especially the bass tones because powerful bass requires large cabinets made of rigid materials. Today, we tend to pack everything into a small box but you have to be aware of the fact that these boxes deliver “small” sound. There are two options when buying a pair of speakers – wired and wireless. If you prefer a more convenient solution and wire-free environment, you should go wireless. Some manufacturers enable you to pair two of the same speakers into a system where one of them will play the left and the other will play the right channel. Honestly, the sound quality won’t be the same as it is with wired speakers but it won’t be bad at all, especially with high-end wireless speakers. Also, if you don’t a pre-packed stereo system, we advise you to carefully consider the characteristics of all the components and match the amplifier and the speakers correctly, especially in terms of wattage. In the end, we would like to say a few words about the ignored factor (acoustic properties of the room) that significantly affects the audio quality of the played music. People usually don’t think about it and place their speakers wherever they find some available space, but those who pay more attention to details know how important the speaker placement is and how it can change the sound. If you have a large home speaker system (6 or more parts), it can be kind of difficult to place them. 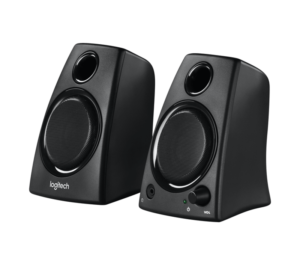 However, a pair of stereo speakers can be easily placed so you should try to meet the basic requirements of speaker placement. By this, we mean that you (the listener) and your speakers should form a triangle and that your position shall be that “sweet spot” that enables you to hear the best of the music played. Also, you may need to change your furniture arrangements in order to make the perfect balance between the elements that reflect the sound (bare walls and floor, glass doors or windows, etc.) and those that absorb it (carpets, curtains, sofas, etc.). Thanks for explaining that although speakers are a very important component of a stereo system, they’re also the most passive component and won’t help much if the rest of your setup is poor quality. Lately I’ve been wanting to buy a nice sound system for my home so I can listen to the music I love in the highest possible quality. I thought the speakers might be a good place to start, so thanks for letting me know they’re actually a passive component that transfers quality instead of adding it. Thank you for your kind words. We’ll keep up the good work.